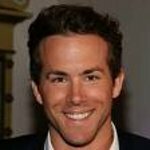 The Hasty Pudding Theatricals, the oldest theatrical organization in the United States, announces producer and Golden Globe nominated actor, Ryan Reynolds as the recipient of its 2017 Man of the Year Award. The Pudding is proud to honor such a talented and diverse actor, whose seamless transition across multiple genres captures audiences and keeps them coming back to see what’s next. The Man of the Year festivities, presented by the Related Companies, will take place on Friday, February 3rd, 2017. The Hasty Pudding Theatricals will host a celebratory roast for Mr. Reynolds and present him with his Pudding Pot at Farkas Hall, which has been the Pudding’s historic home in the heart of Harvard Square since 1888. A press conference will follow the roast at 8:40 p.m.
For the first time ever, the press conferences for Hasty Pudding’s Man and Woman of the Year will be live-streamed and available to the public free-of-charge. More information will be available on the Hasty Pudding’s social media channels soon via Facebook www.facebook.com/thehastypudding, Twitter @thehastypudding and Instagram @thehastypudding. After the press conference, Mr. Reynolds will attend the opening night performance of the Pudding’s 169th production, Casino Evil. Reynolds is the Golden Globe nominated star of the 20th Century Fox record-breaking film DEADPOOL. 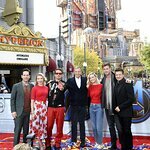 The movie opened in February 2016 and shattered expectations, opening to $152.2-million over the four-day Presidents’ Day weekend making it the biggest R-rated opening of all time and the biggest February opening in box office history. The superhero juggernaut also replaced “Matrix Reloaded” as the highest-grossing R-rated film in history with more than $750- million globally. The film continues to break records with 2 Golden Globe nominations. A “Best Actor” nod for Reynolds and Best Picture nomination for the film, making it the first live-action superhero movie to pick up a Golden Globe nomination in the Comedy or Musical category. The film also received a Writers Guild of America nomination for “Best Adapted Screenplay” and a PGA Award nomination for “Best Picture.” Reynolds, who is a producer on the film, will begin shooting DEADPOOL 2 later this year. Next up Reynolds can be seen opposite Jake Gyllenhaal and Rebecca Ferguson in Sony Pictures’ LIFE. Teaming up once again with Reese & Wernick and director Daniel Espinosa for the space thriller out March 2017. He also has THE HITMAN’S BODYGUARD with Samuel L. Jackson coming out August 2017. Reynolds body of work continues to be extremely diverse. In 2015 he starred in a variety of feature roles including MISSISSIPPI GRIND, WOMAN IN GOLD, THE VOICES and SELFLESS. MISSISSIPPI GRIND directed by Ryan Fleck and Anna Boden premiered at Sundance to rave reviews. In The Weinstein Company’s WOMAN IN GOLD, Reynolds starred alongside Helen Mirren to tell the story of Maria Altmann (Mirren), a Jewish refugee who is forced to flee Vienna during World War II and her personal mission to reclaim a painting the Nazis stole from her family: the famous Lady In Gold. In Lionsgate’s serial killer comedy THE VOICES by famed French director Marjane Satrapi, Reynolds stars as a troubled, med-addicted factory worker driven to murder by his talking pets, a psychopathic cat called Mr. Whiskers and Bosco, his peace-loving dog. Reynolds also voices both of the animals. He also starred opposite Sir Ben Kingsley in the independent feature SELFLESS, directed by Tarsem Singh. Reynolds voiced two DreamWorks Animation films in 2013. TURBO, in which Reynolds voices a snail named ‘Turbo’ who has dreams of winning the Indy 500. The movie also features the voices of Samuel L. Jackson, Maya Rudolph, Snoop Lion and Michelle Rodriguez. Prior to that, Reynolds had his animated film debut as the voice of ‘Guy’ in DreamWorks Animation’s, THE CROODS. The movie also featured the voices of Nicolas Cage, Emma Stone and Catherine Keener and earned over $508 million worldwide. Reynolds has signed onto the sequel, which is already in development. His other film credits include; the Universal action thriller, SAFE HOUSE opposite Denzel Washington. The film opened to $40 million domestically in its first weekend and went onto earn $208 million worldwide. The Universal comedy, THE CHANGE UP, opposite Jason Bateman, the Warner Brothers adaptation of the popular DC Comic, GREEN LANTERN and the mystery/thriller BURIED. In the acclaimed and cinematically challenging film, Reynolds is the only actor to appear on camera for the duration of the piece. In 2009, Reynolds served as Disney’s romantic comedy lead in THE PROPOSAL, opposite Sandra Bullock. The film opened at #1 at the box office and grossed $315 million worldwide. Reynolds was also seen as ‘Deadpool’ in the X-MEN spin-off, X-MEN ORIGINS:WOLVERINE. He starred opposite an all-star cast including Hugh Jackman and the film grossed $365 million worldwide. Additionally that year, Reynolds starred in ADVENTURELAND opposite Kristen Stewart, which premiered at the Sundance Film Festival and was nominated in the “Ensemble Performance” category at the 2009 Gotham Awards. Some of Reynolds other film credits include; PAPERMAN and the Working Title film DEFINITELY, MAYBE for Universal Pictures, writer/director John August’s THE NINES, director Joe Carnahan’s SMOKIN’ ACES for Working Title and Universal Pictures and THE AMITYVILLE HORROR, a remake of the classic cult film which opened #1 at the box office and made $107 million worldwide. As well as cult favorites WAITING and VAN WILDER. DarkFire, Reynolds’ TV production company, recently sold its first two projects, the live action comedy “Guidance” and the animated comedy, “And Then There Was Gordon” to 20th Century Fox TV. Reynolds will executive produce alongside Allan Loeb, Jonathon Komack Martin, Tim Dowling and Steven Pearl. In addition to his numerous leading roles, Reynolds also serves on the board of directors for the Michael J. Fox Foundation for Parkinson’s Research. In November of 2007, Reynolds ran the New York City Marathon in honor of his father – who has long suffered from ravages of Parkinson’s disease. Reynolds marathon run raised over $100,000 for the Michael J Fox Foundation. The Hasty Pudding Institute of 1770’s philanthropic mission is to provide educational and developmental support in all aspects of the performing arts for the underprivileged, to encourage satire and comedy, and to cultivate young talent around the world. The Institute is comprises the Hasty Pudding Club (the oldest social club in the United States), the Hasty Pudding Theatricals (the third oldest theater group in the world, after the Comédie-Française and the Oberammergau Passion Players) and the Harvard Krokodiloes (the foremost collegiate a cappella group in the United States). Over the last two centuries, it has grown into a premiere performing arts organization, a patron of the arts and comedy, and an advocate for satire and discourse as tools for change worldwide.